Kentucky Derby dresses are a fun way to showcase your inner fashionista at America’s greatest race or derby-themed parties. Derby attire is all about getting noticed, hence the extreme hats, vibrant colors, and lavish dresses seen at the Kentucky Derby. Explore this assortment of dresses for the Kentucky Derby to find semi-formal and casual party dresses in an array of trendsetting styles and designs. You will find short party dresses with in-vogue off-the-shoulder or cold-shoulder necklines, as well as high-low chiffon dresses with lively floral prints. Admiring all the stylish derby fashions is a huge part of the festivities, so make sure you’re ready with a Kentucky Derby dress from Simply Dresses. You can rest assured that a stylish Kentucky Derby dress from this assortment will ensure you can sip your mint julep in style as you watch one of the world’s most prestigious horse races. Why is the Kentucky Derby so Important? The running of the Kentucky Derby is a time-honored tradition that dates back to 1875. Each year as Spring arrives, equine enthusiasts from across the world descend upon Churchill Downs to witness the most exciting two minutes in sports. The spectacular derby fashions on display at the track have become a significant part of the celebration. As the event is held in early May, typically it’s best to choose a spring dress, meaning a soft pastel color, floral-print dress, or a bright, vivid-color dress for those who love the spotlight. To highlight your individual style, slip into one of the trendsetting short semi-formal print dresses. 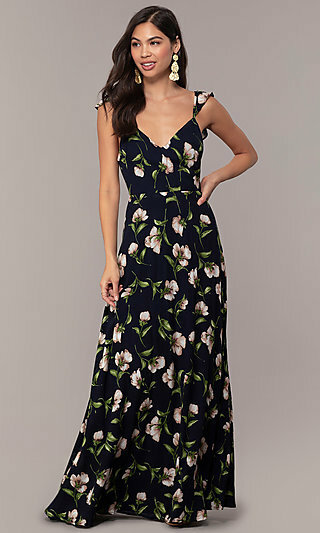 Channel the winning jockey with a garland of roses inspired floral-print dress, or support your favorite horse by coordinating a matching colored dress. 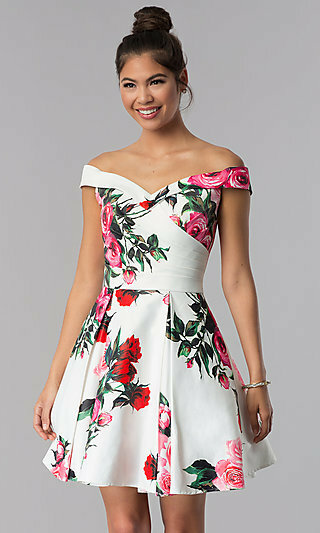 The variety of Kentucky Derby dresses offered by Simply Dresses includes short semi-formal party dresses with stunning details, casual dresses with unique prints, and classic a-line dresses in the season’s hottest fabrics and colors. The Kentucky Derby is where the winners are crowned, so be sure you look and feel your best at this fashionable event. It has become evident through recent years that the Kentucky Derby is not just about the horses. Wearing flashy derby attire is becoming as much a part of the festivities as the actual race. This spring event has become a platform for showcasing your finest derby fashions. From fancy elaborate hats to spectacular party dresses, be sure you’re camera ready in a fashion-forward derby dress. Shop Simply Dresses’ collection of semi-formal and casual dresses for the Kentucky Derby to ensure you have a gorgeous winning weekend.